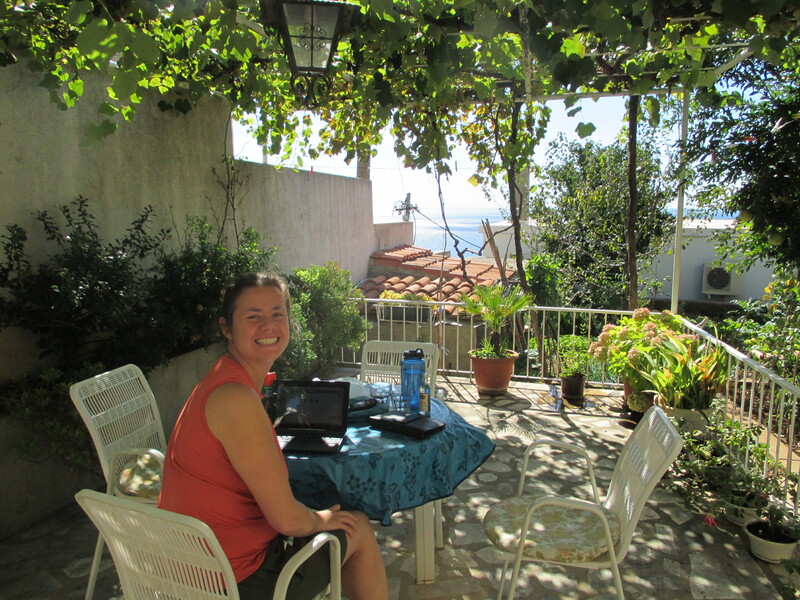 After we said goodbye to Della’s parents in Mostar, we returned to Dubrovnik. We needed to return our rental car there, but we also wanted to spend just a little bit more time in the “Jewel of the Adriatic” before heading on. As we crossed over the border from Bosnia-Herzegovina, we decided to take advantage of the fact that we had our own wheels to take a visit to the top of Mount Srđ. Normally you have to pay to take a cable car up, but driving up is free. 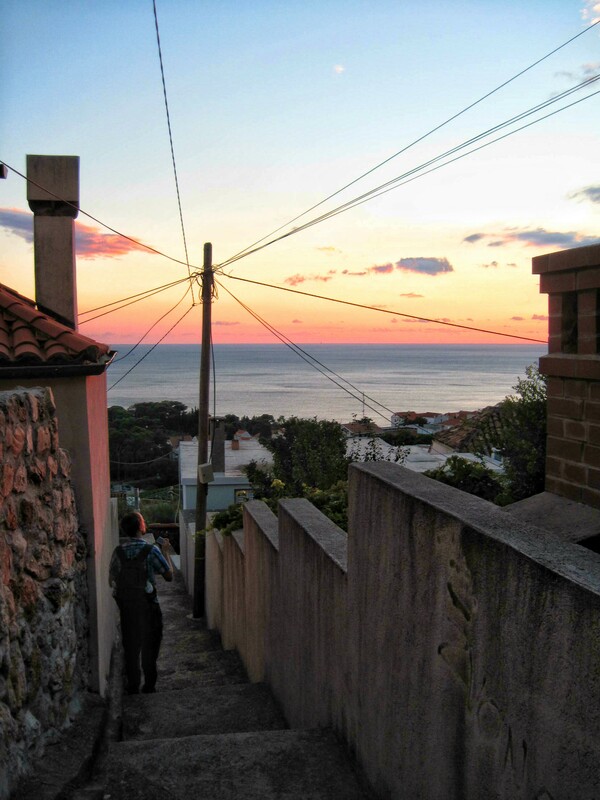 We followed the narrow windy road up the mountain and got great views down over the city. For our two nights in Dubrovnik, we stayed in an apartment that was a little cheaper than the place we stayed with Wayne and Peggy on our first trip through the city. It wasn’t too far of a distance from the Old Town, but the biggest downside was that all of the distance was straight up a hill. At one point we counted and we had 421 steps just to get there! We did enjoy the nice views from the terrace though. We didn’t have much of a sightseeing plan during our time in Dubrovnik, since we had seen the biggest sights on our first trip through. We were planning to take it easy… but then we heard that Game of Thrones was actively filming! So, we spent most of our time scoping out the the sets and trying to figure out what was going on. By the time we got down to Old Town on the first night, it was dark enough that filming had wrapped up, we we were able to find the leftovers from a set that looked like it was going to be a marketplace of some kind. The amount of detail put into the tables and chairs was pretty impressive. 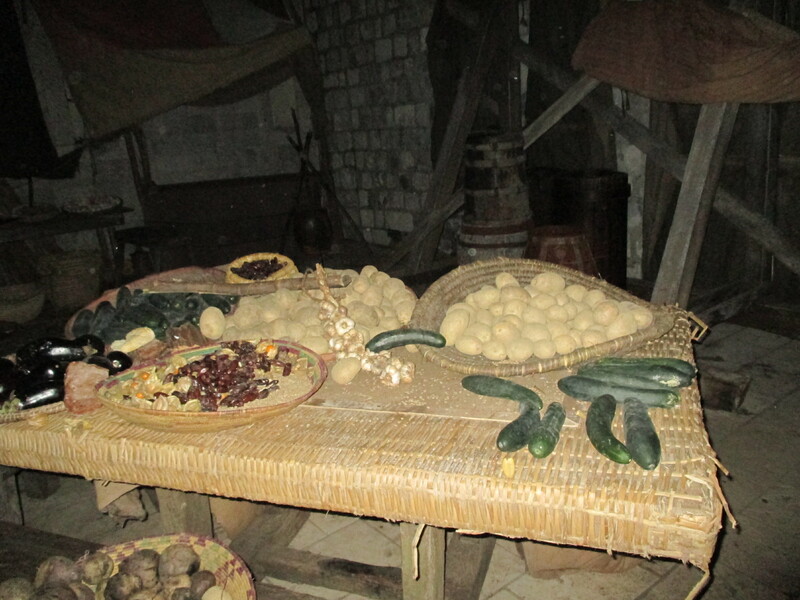 We were also surprised to see that they were using real produce and bread! On day two, we knew there were two locations rumored to be active. 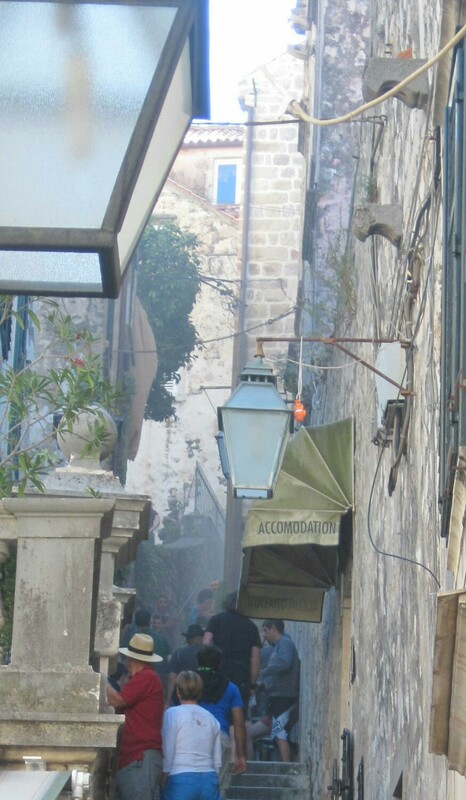 When we tried to go to the first one, it seemed like they were in the middle of filming, because security guards were blocking all of the different alleys leading to a certain area. At the second site though, they were still setting up for what looked to be a massive scene. There were gates up and security to prevent us from passing, but they didn’t seem to mind us taking pictures. We spotted banners with the Baratheon and Lannister sigils, banners with the Tyrell sigil and a litter that with Baratheon/Lannister sigils engraved on it. Probably the most fascinating thing to note was all of the work that was being put into converting a modern street into something that looks period appropriate. There were people painting over drain pipes and electrical wires, people covering awnings with fabric, and people adding a vegetation-covered trellis to a terrace. We even got to eavesdrop on a discussion of the next day’s filming! We were sitting on a part of the staircase that hadn’t been roped off, and we noticed that a lot of people with crew badges were suddenly gathered around. Then, one of them called a meeting to order and started to discuss how to position the cameras. We got to hear where Cersei and the High Sparrow will be standing. They planned for how to shoot how Cersei would walk down the stairs right where we were standing. They planned to shoot a lot of the walking from behind with a double doing the walking. We have different opinions about what this scene will be. Della heard something about a shift being removed, which when combined with the discussion of a double indicates one scene that book readers will know… but Eric isn’t so sure. Cersei will be standing here..
We lingered around for quite a while, and spotted some of the actors in the process. We saw a few extras walk by in costume, but most exciting for us was seeing two of the main actors. The first one we saw was Aidan Gillen, who plays Peytr Baelish (a.k.a Littlefinger). He was in costume, walking quickly away under an umbrella, but we did get a good view when he turned and smiled in our general direction. That was pretty exciting, so we thought we were done for the day. But then, when we least expected it, we were sitting on a fountain and we suddenly looked up and saw a lady in a blue hoodie walking towards us a few feet away. It took a second to realize that it was Lena Headey, who places Cersei. Her hoodie slipped off and we saw that she was wearing her blonde wig, but she was not in costume beyond that. She quickly moved on so we weren’t able to get a good picture. 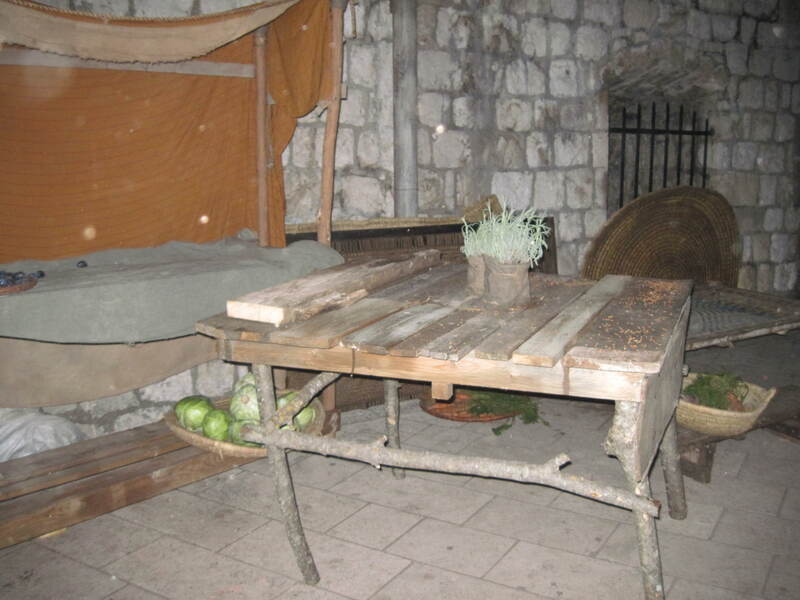 We felt like we had been pretty successful in seeing the different Game of Thrones sights, so to cap off our time in Dubrovnik and Croatia, we went to one of the Buza bars. 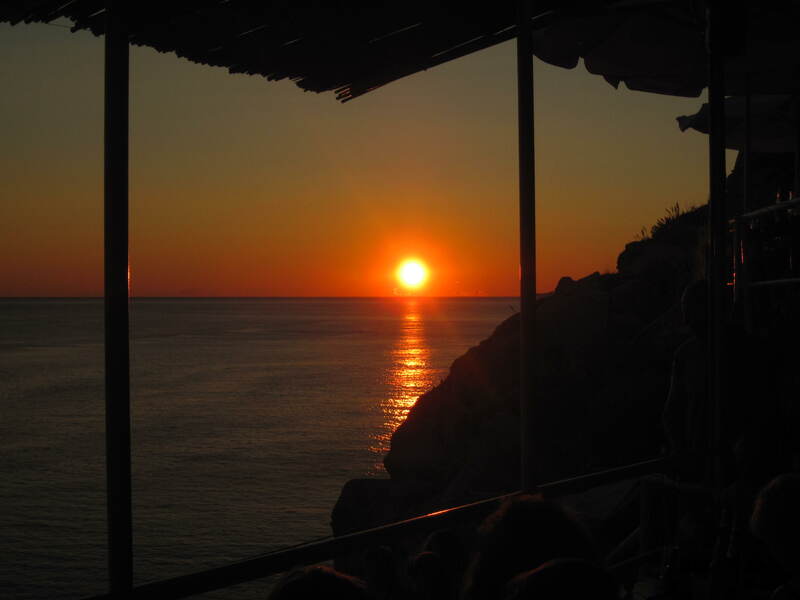 It is just outside of the city walls, perched over the sea – the perfect place to watch the sun set!